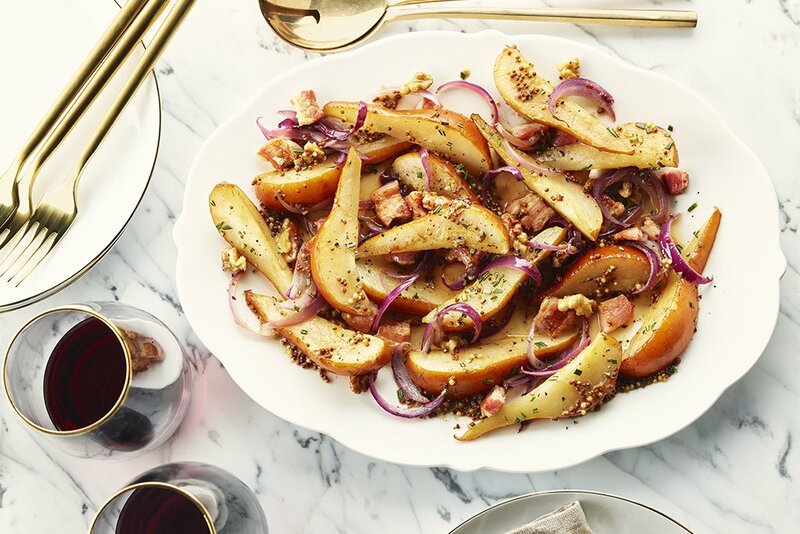 Round out your holiday side dishes with this savoury fruit dish. It’s a great compliment to any roast. If you have any leftovers, toss them in a salad with some arugula or other spicy greens. In large skillet, cook bacon over medium heat until crisp and fat has rendered out, about 10 minutes. Transfer to paper towel-lined plate and remove all but 1 tbsp (15 mL) of the fat from the pan. Add onions and cook over medium high heat until tender crisp and starting to brown, about 5 minutes. Add pears, rosemary, sea salt and pepper; cook until tender and golden, about 5 minutes more. Whisk together broth, vinegar and mustard and deglaze pan, scraping any brown bits. Transfer to platter and sprinkle with walnuts before serving warm or at room temperature. If you cant find slab bacon, 6 pieces of strip bacon will be a fine substitute. If you do not have walnuts, hazelnut can be substituted in its place. 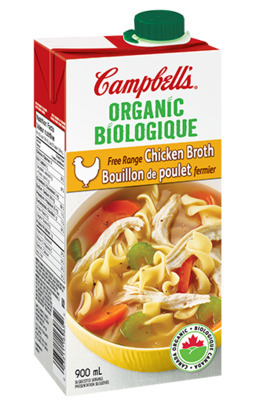 This recipe will also turn out delicious using CAMPBELLS® Vegetable Broth!